I’ve given up the card after using it for 5 days. It is hardly conceivable that such a high-end graphic card is a crap to FSX! In the past few days, I have tried all different tweaks, including BP=0, RejectThreshold, etc, etc. After a lot tweakings, I can manage to have it running FSX smoothly; but, blurry land texture was unpreventable and the worst thing was: FSX crashed uncontrollably. It is possible to resize the GPS window during any flight session. However, it will resume to its default value once FSX is terminated. 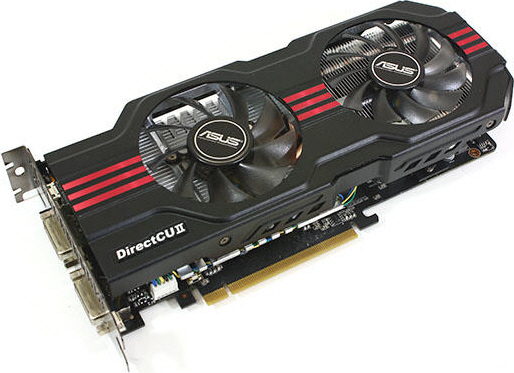 Just purchased the newly released ASUS GTX580 Direct CU II card to replace my current ASUS HD5870 Matrix Platinum card. * GTX480 was reported very hot and noisy. Although I am getting average 41 FPS in most sceneries with the HD5870, some micro-stutters and under 20 FPS performance within dense areas reamin the barrier for my system to break. As nVidia card is generally agreed to be better for FSX and reviews of GTX580 show that the new card is now cooler and less noisy (especially the modify Direct CU II version), I decided to wait no more to find out the true side of it myself. If allocating more CPU cores to FSX will bring higher frame-rates sounds logical, the findings from recent experiments show a different result. By applying different numbers to the AffinityMask command in fsx.CFG file, frame-rates achieved vary significantly. And most important, allocating more cores to FSX (including default setting without AffinityMask) doesn’t necessarily mean that framerate will be subsequently higher. However, setting to use fewer CPU cores will lengthen the time to load all FSX session, especially when a system has installed many complicated add-ons. The window of ATC by default is quite large. Although it can be resized and repositioned as desired and remains applicable during the flight-simming period, it will revert back to the default situation when FSX is exit. The ATC window will start with the new size and position just defined from now on.